Making heads turn on the Rumson road is easy with the 2017 Jaguar F-PACE. This sophisticated SUV delivers a look that is sure to stand out. See for yourself below. The exterior of a vehicle should not only make heads turn on the Rumson roads, but it should also help improve efficiency. That’s exactly what the Jaguar F-PACE does. This vehicle was expertly designed with the right proportions to help reduce drag and improve aerodynamics. Not only does this mean you’ll have to stop less for gas, but it also helps ensure you have a quiet cabin when you’re on the road by eliminating wind noise. The Adaptive LED headlights improve your safety on the Holmdel roads. Not only do the LED lights offer a crisp and clear view that allows you to see more of your surroundings, but the adaptive headlights move with your vehicle to ensure you’re always getting the best view of what’s in front of you. In addition, the Jaguar J-Blade daytime running lights help you stay safe while on the road by making it easy for other vehicles to see you, regardless of the weather. What makes the F-PACE stand out among other Jaguar vehicles is its style. Although this model was designed with the functionality and versatility of an SUV, the exterior style was mimicked from a sports car, which gives it that crisp and smooth look. When you look at this model from the side, you’ll be amazed at how much the shape resembles the perfect contours of a performance vehicle, and it will be one of the reasons you want to bring it home to Holmdel. The wheels on your vehicle help set the tone for the rest of the body while also offering an important element in terms of handling. The new Jaguar F-PACE gives you choices when it comes to wheels—as large as 22 inches. The alloy wheels are lightweight and aerodynamically efficient, all while adding a nice touch to the design and style of the P-PACE exterior. When you stand in front of the Jaguar F-PACE, you’ll be instantly amazed at its dominating stance. The honeycomb style of the black grille offers a masculine look that is sure to stand out on the Colts Neck roads. This is complemented by the sharpness of the front headlights and the rich contours and haunches found throughout the front end. No matter where you go, this vehicle will certainly make a defining statement. 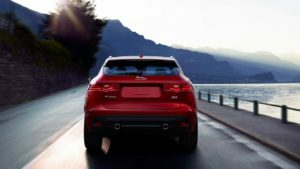 The 2017 Jaguar F-PACE boasts an impressive exterior that is sure to stand out no matter where you go. 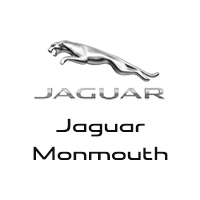 If you want to spearhead a new style on the road, visit Jaguar Monmouth today at 807 NJ-35 in Ocean Township. We have a large inventory for you to experience, so contact our dealership today by calling (877) 672-8680 to start an application.